Stratospheric pricing means that certain wines that helped to define previous generations of wine lovers and wine writers are out of the reach of many, if not most. I write specifically with the Bordeaux first growths in mind, but the same may be said for the leading wines of Burgundy, which are frequently not only very expensive, but impossibly scarce. That this is so is a function of markets, and markets mostly win, so there can be little complaint on my part. That first growth Bordeaux is not cheap is perhaps not the type of market failure that would warrant a sympathetic ear from many quarters … That said, this does not mean that not tasting these wines does not matter. I think it does matter. What is potentially lost is the opportunity to benchmark wines against the greatest wines that the world has to offer, and that is a potentially poor outcome for all concerned. 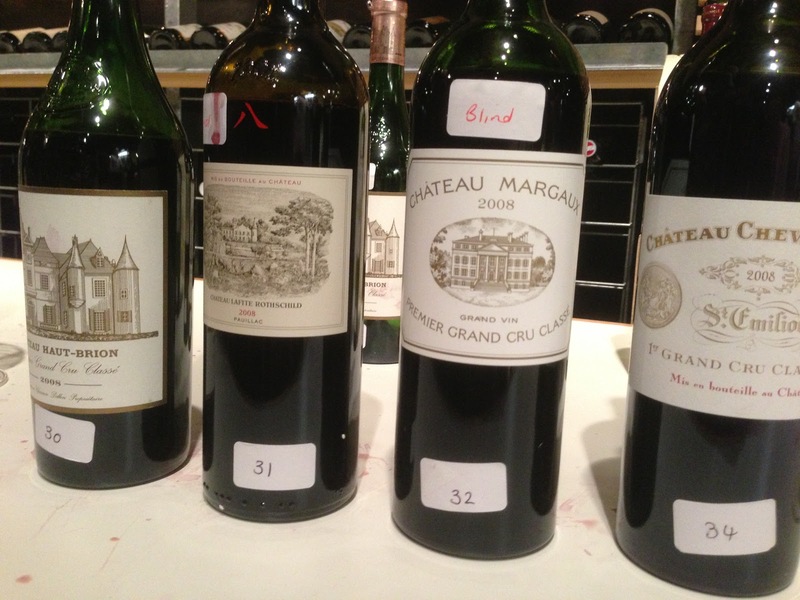 Opportunity knocked, and then knocked down the door, with an Institute of Masters of Wine tasting in Melbourne of no fewer than 81 wines from Bordeaux’s 2008 vintage, including all of the first growths, bar one. 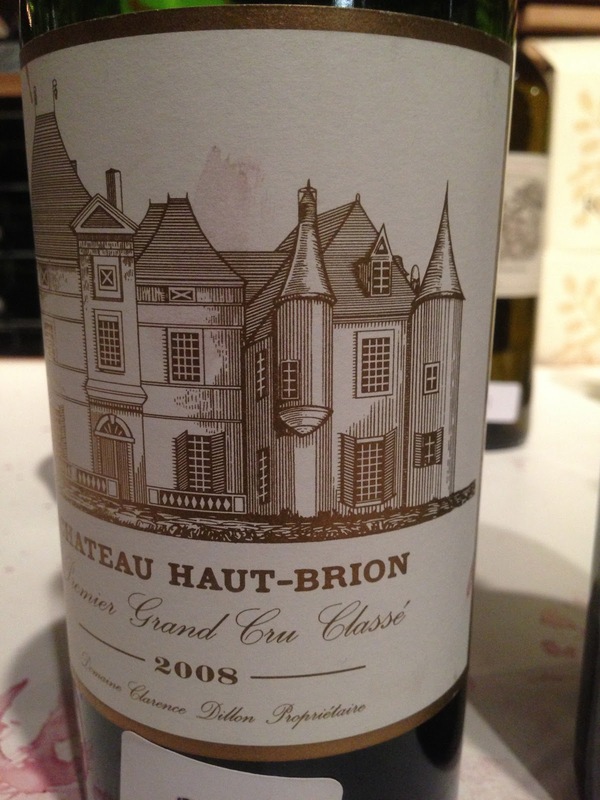 2008 itself is what I would describe as one of the “normal” years in Bordeaux, neither a particularly good nor a particularly bad vintage, but frankly I’d already said “yes” before I’d got past the second digit in the year. What follows are my thoughts on the “first growth” bracket. Rest assured that every single one of the wines in this bracket were unquestionably outstanding in quality. There are no “acceptables”, “goods” or even “very goods” here. As befits young Bordeaux and their stature, all of the wines would have benefited from at least another ten years in bottle. They will otherwise last I expect for as long as you can keep your hands off them. I should also give special mention to the Smith Haut Lafitte 2008 from Pessac-Leognan which was bright, structured and full of blackcurrant promise, and was far from humbled in esteemed company. Licorice, blackcurrant, tobacco and a purity of aroma come to mind. Tobacco, fine grained tannins, impossibly long length, blackcurrant and licorice meld together to make this a stunning wine. This is the sort of wine that makes you ponder the unquestionable merits of this ultimate expression of Pessac-Leognan/Graves region terroir. 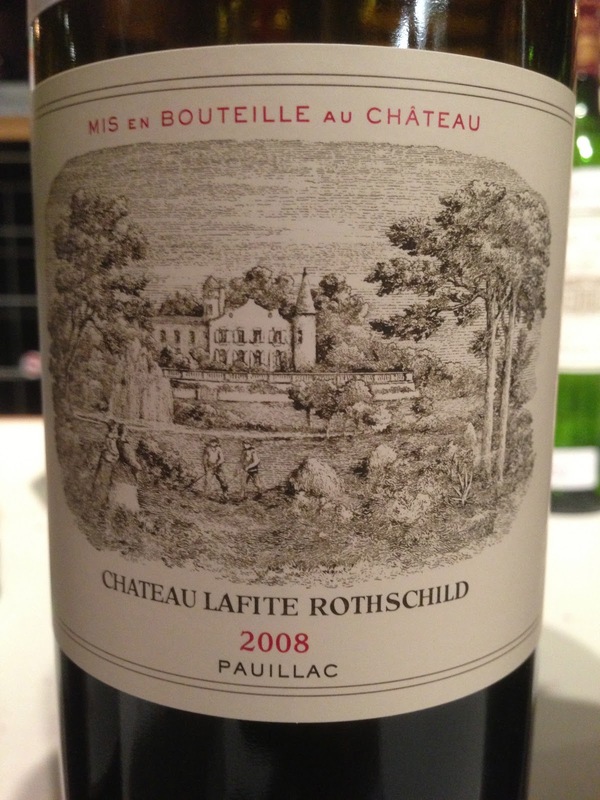 Blackcurrant, graphite, cigar box and some leafy notes make up the aroma of the Lafite. A bit of green capsicum, tobacco leaf, peppercorn, blackcurrant, young firm tannins, smoke and long layered length fill out the palate. Very pure fruited, the charm and intensity of the Lafite grows in the glass. Regal in its cabernet sauvignon dominant bearing, it will prove irresistible with age. 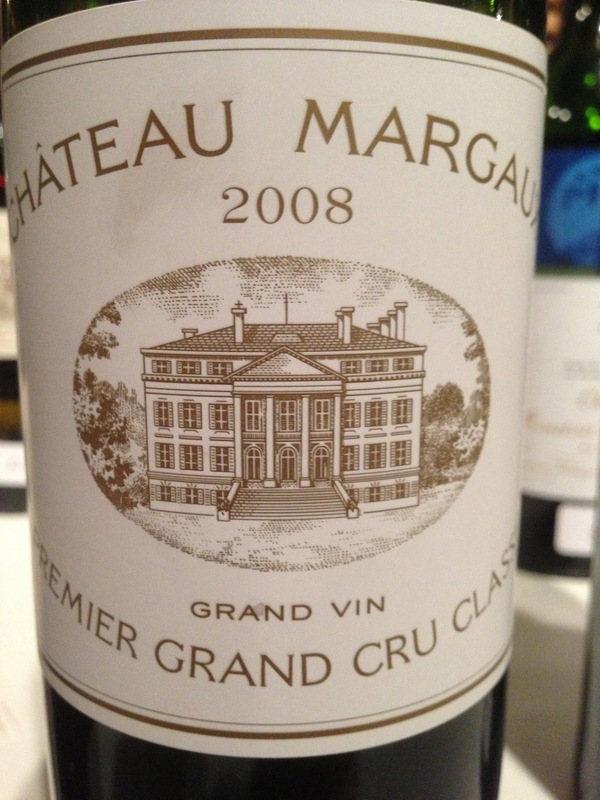 The Chateau Margaux has some real charm, beguiling its victim by presenting itself as easier to understand, but proving to be anything but. Plums, blackcurrants, leather, graphite and earth make up its aroma. The palate has extremely long length, and lingering flavours of plums, blackcurrants and a smidgen of leather. 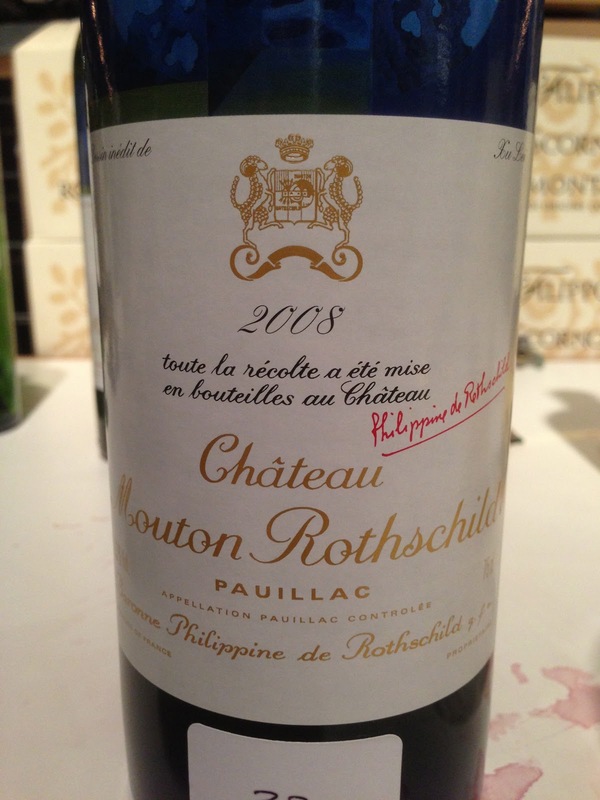 The Mouton Rothschild vied for my favourite of the set, bringing together some of the best aspects of all of the other first growths, with its purity of fruit and layered length in particular standing out. It has aromatics of tobacco and blackcurrants, with an exciting purity of expression. Its palate has long and structured length, with blackcurrant flavours predominant. 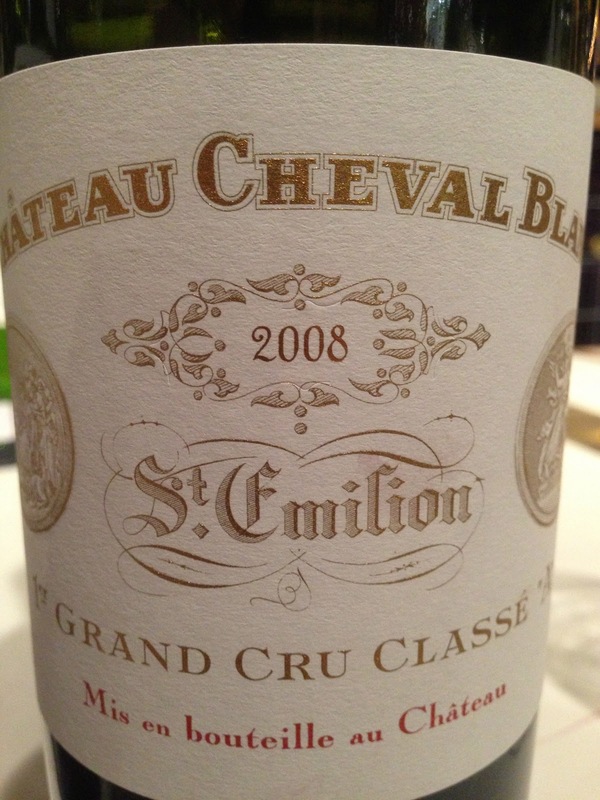 The Cheval Blanc has a soft intensity of blackcurrants and plums in terms of aroma, and vied with the Mouton for the number one billing. The palate has long, almost ridiculous length, reminding of plums, graphite, cigar box and spice, and has fine grained but medium tannins and is a complex wine, showing its cabernet franc characters. 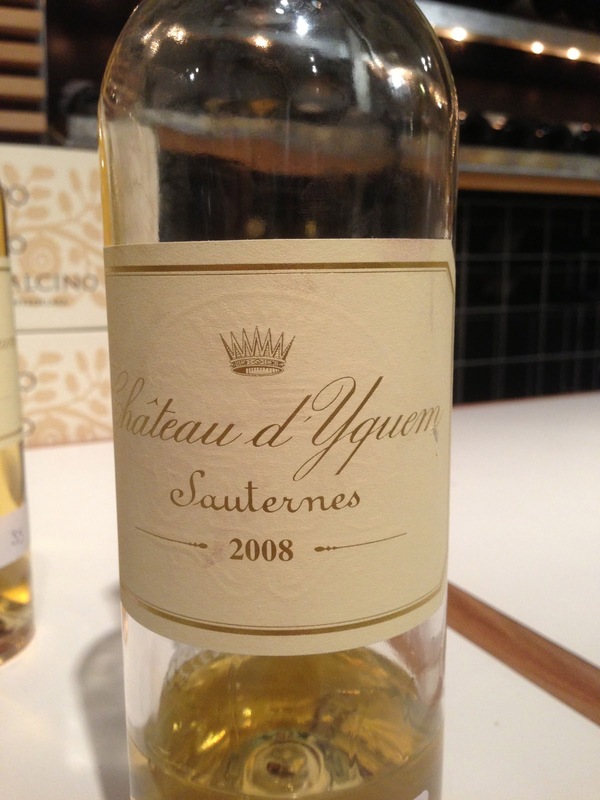 The Chateau d’Yquem proves itself to be almost a definition of the “complete wine”. Aromatics of marmalade, flowers, apricot, honey and caramelised sugar, give way to endless length on the palate, and nuances of apricots, honey and marmalade. Every aroma, every flavour is pitch perfect, its balance extraordinary. I am not sure what happened to the Chateau Latour 2008. Suffice to say, I don’t feel hard done by in its absence.